Pakistan's Director-General Inter-Services Public Relations tweeted that IAF fighters released 'payload in haste near Balakot' but there were no casualties or damage. New Delhi: Pakistan’s military Tuesday claimed that Indian fighter jets violated the Line of Control (LoC), intruding from the Muzaffarabad sector and went back after they scrambled their own aircraft. There was no immediate response to the claim from the Indian Air Force and the Ministry of Defence. Top officials in the defence establishment told ThePrint that a statement would be issued later in the day. Indian news agency ANI, quoting IAF sources, tweeted that IAF’s Mirage 2000 fighter jets “struck a major terrorist camp across the LoC” at 0330 hours “and completely destroyed it”. Confirmation of the attack would mean the IAF has crossed the LoC for the first time in decades, marking a major escalation. The force was not allowed to go across by the Vajpayee government even at the height of the Kargil battle in 1999. The Pakistani claim was made through a tweet by Pakistan’s Director-General Inter-Services Public Relations, Major-General Asif Ghafoor, early on Tuesday. “Indian Air Force violated Line of Control”, following which “Pakistan Air Force immediately scrambled” and Indian aircraft went back, he tweeted. He later followed it up with another tweet saying that the aircraft faced “timely and effective response from Pakistan Air Force” and ended up releasing “payload in haste while escaping which fell near Balakot”. No casualties or damage occurred, the Pakistani military spokesperson added. Ghafoor later tweeted pictures showing what he said was the “payload” dropped by Indian fighter jets. “Payload of hastily escaping Indian aircrafts fell in open,” he tweeted. Data available on websites tracking planes indicated that an early warning aircraft of the IAF along with an IL-78 refueler was up in the air around the time the incident was reported. 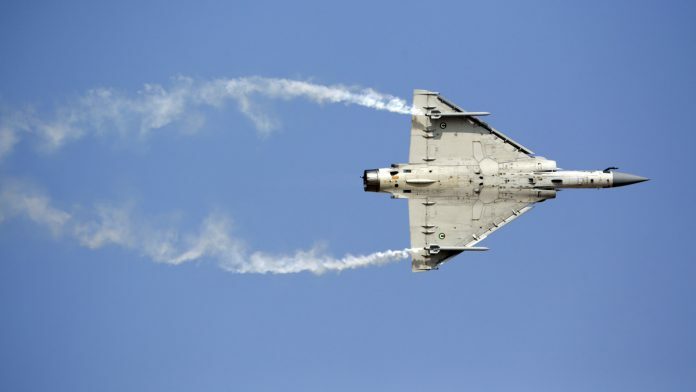 Indian and Pakistani fighter jets have been on high alert and have been flying increased sorties since the 14 February terror attack in Pulwama in Kashmir in which 40 CRPF personnel were killed. Pakistan-based group Jaish-e-Mohammed had claimed responsibility within hours of the attack, prompting India to promise a tough response. Islamabad has denied any role in the incident and asked India to present evidence to probe. Islamabad has also threatened to hit back strongly if India launched any military action. Prime Minister Narendra Modi has said that the Indian military has been given a free hand to respond to Pakistan at a time and place of its choosing. The air space facing Pakistan comes under the command of IAF’s Western Air Command. Any fighter jet coming within 10 km of the LoC is considered a violation but such violations have happened in the past. Being an ex-airman of 1965-75 vintage and also as a journalist, I am reminded of our valiant IAF’s motto: NABAH SPARSHA DIPTAM that means ‘touching the sky with glory’…. That evens out the score. Now I hope Pakistan will have the sagacity to not escalate the matter.